These Death Troopers can be displayed in different poses thanks to interchangeable parts. With snap-fit assembly, you can change up your display options in just a few seconds, no paint or glue required! ・Highly detailed sculpt recreates the armor and weapons as seen on-screen. ・Features include magnets in the feet for extra stability on the included base! 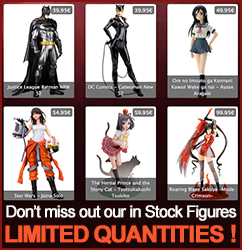 ・Display alone or alongside other Star Wars ARTFX+ statues from Kotobukiya.